Minimalist living involves downsizing all aspects in your life. Living a minimalist life helps in saving a lot of money that would otherwise be spent unnecessarily. Having everything in life does not necessarily make us happy but utilizing what we have for the best cause, will promote happiness. When you can't afford to buy a big house and live in it, renting a house is a good way to start by.House for rent in KL are everywhere and they've proven to be cheaper and more convenient. Renting a house involves paying someone else in order to live in their house for a certain period of time. Rental houses are considered a minimalist living where by paying less you get more thus minimizing the amount of money spent. To live in a nice house doesn't have to involve you being bankrupt like most people do. 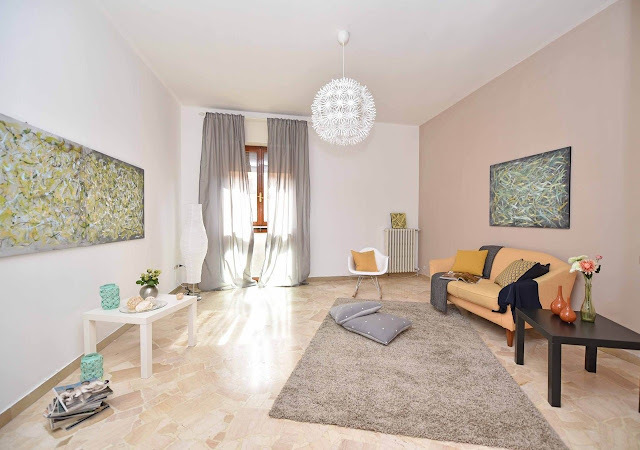 Rent a nice apartment that caters for your needs and this will help you in saving more money. Here are some points on advantages of minimalist living by renting a house. FREEDOM; when living in a rented house, you're not obliged to stay there for a long time. You can move out whenever you please and go to a better or different place. For a person who keeps moving from place to place due to their job, rental houses are the best option for them. They don't restrict you, and you won't have to struggle to find a buyer before moving. In rentals, you move out according to your liking. Also, getting into a rental house doesn't involve a lot of processes before one gets settled in hence, very convenient. The freedom makes it convenient for people like tourists that prefer to live in a more homely place than a hotel. They can stay in the rental house for a month or two and move back to their home without spending a lot. When you get an emergency relocation, rental houses are good for these since you can move as immediately as you need to without any hindrances. CHEAP AND LUXURIOUS; rental houses are way cheaper than owning a house; hence, one can live in their dream house without paying a lot for it. When renting, one could live in a house that wouldn't involve a lot of loans to own making it way cheaper and convenient. Most rented houses are very luxurious and their prices affordable. This lets one live their dream costing them less in the process. EASIER AND FASTER; when buying a house, one requires a series of legal papers and a lot and a lot of money. Renting a house could only just involve a verbal agreement and everything is moved into the apartment. Many people become bankrupt and can't support themselves well after buying a house because of the money they used either loans or savings or both. This puts many people in debt and agony for quite some time while they try to recover the money back. But when living in rental houses, it is cheaper and you can live according to what you can afford. PERKS AND AMENITIES; in most community rental apartments, there are communal swimming pools, gyms tennis courts, and other sports and perks like free breakfast or morning coffee that one can enjoy. These are very advantageous and also help in interaction. These perks are also important in providing one with sports of their desire and company. For people who love the company of others, living in a rental house can be good for them so that they're able to interact and get to know new people. Every time one moves, they get to meet new neighbors who can finally be their friends for even a long time. INCLUDED UTILITIES; most rented homes have some commodities like water and heating. These, help a lot in saving you with the money at the end of the month. Various houses for rent have different utilities which vary in price according to the type of utilities and their cost. One only lives in what they can afford but, with the best utilities that you would need in place. NO TAXES; when living in a rented house, you're not required to pay property taxes and homeowners insurance because it isn't your place. This helps in reducing the amount of money you spent while living in a rental house. Paying insurance and taxes can be very expensive and not having to pay them saves you a lot of money. NO YARD WORK; renting a house means you don't have to tend to your lawn. This is very exciting especially for those who know how much work the yard requires in the summer. This helps in reducing your workload and saves you time to do other things. If one is used to paying for yard maintenance, it's the landlord's job to do all that work for you. FIXED COST; when living in a rental house, the amount you pay every month is fixed unlike owning a home where it varies according to repair costs. This makes it cheaper for one renting the house and also prevents you from having to ruin your budget every time. There are also no risks as a renter because in most cases one gets their deposit check back. When owning a house, the market cost keeps fluctuating and can be sold at a loss in the wrong season. NO REPAIRS; when living in a rental house, there are always things that need to be repaired. It is the owner of the property's job to repair them and not the tenant hence, cheaper for the tenant. Most people who are working can't afford to use all that money that is needed in repairing things around the house. When owning a house, you have to pay for repairs yourself and sometimes it cuts into your budget making it difficult to spend money as you had planned. As from the above points, we can see that living in a house for rent is cheaper and more convenient than owning one. It gives you freedom and reduces your costs on things. It doesn't make you bankrupt and you can live in your dream house today and pay a lot less by renting it. Less is more with minimalist living, therefore, rent a house today and save more! 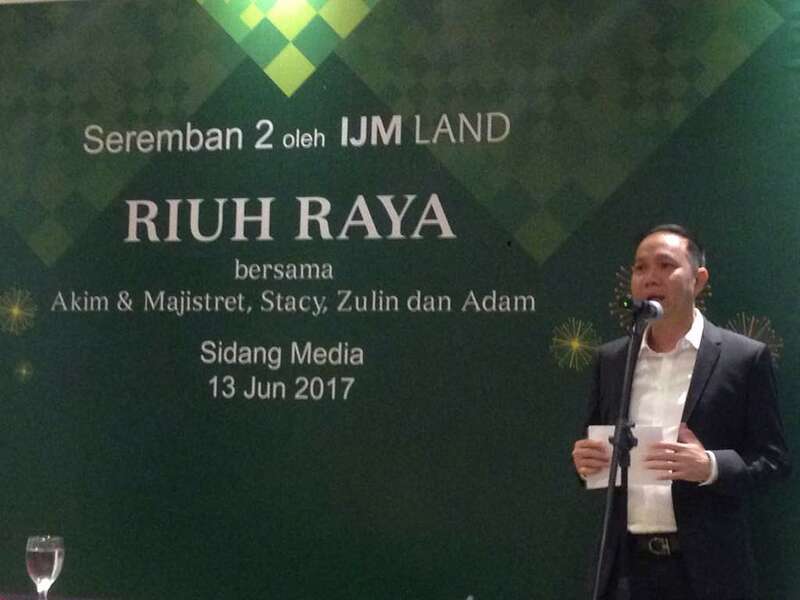 Aritu AJ berbuka puasa dengan IJM Land kat Ice Gallery , Pantai Sentral Park. Tak jauh pun dari rumah AJ, kalau kata nak jalan kaki tu boleh sangat! Hahhahahah... Majlis berbuka puasa ni diadakan sempena perasmian Riuh Raya 2017 bersama IJM Land yang bakal berlangsung pada bulan Julai nanti. Majlis berbuka puasa ni memang santai habis dengan hidangan yang menyelerakan. Tapi AJ bukan nak cerita pasal makan, AJ nak bagitau korang bende yang lagi best dari makan. Tak lama lagi dah nak raya, sure banyak majlis rumah terbuka yang korang nak hadiri kan? So apa kata pada 15 Julai nanti kita ramai-ramai ke Riuh Raya 2017 yang bertempat IJM Land Seremban 2 Sales Gallery. 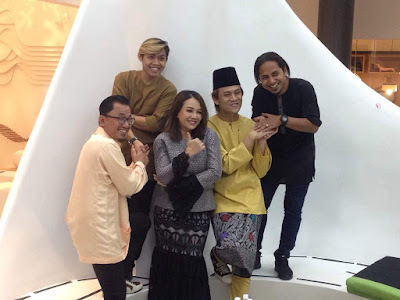 Acara ni memang menarik sebab ada barisan artis yang tak kurang hebat antaranya Akim & The Majistret, Stacy, Zulin dan Adam AO. Pengunjung bertuah berpeluang memenangi hadiah menarik melalui "Spin the Wheel". Bagi mereka yang bawak anak-anak pulak, IJM Land bermurah hati nak berikan duit raya!!!! 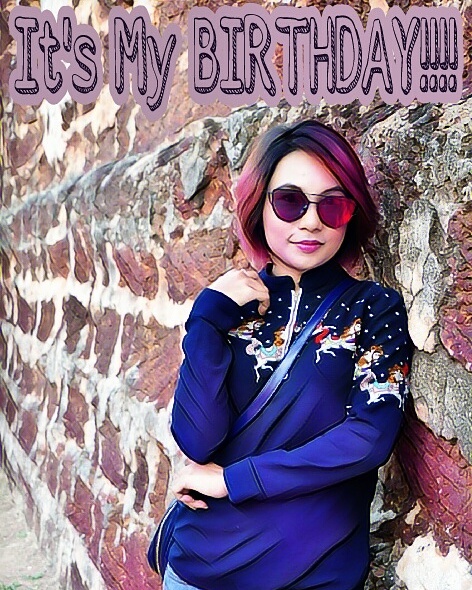 Yeayyyyyyyyy! 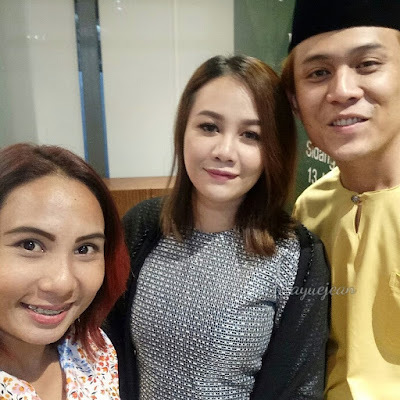 Kemuncak acara tu yang akan dihoskan oleh Zulin Aziz dan Adam AO, korang akan dihiburkan dengan persembahan Akim & The Majistret, Stacy... Kalau nak tau, inilah penampilan pertama Stacy selepas habis berpantang tau! Menurut Dato' Hoo Kim See, GM IJM Land Berhad, Riuh Raya 2017 diadakan bagi mengeratkan Seremban community dan berkongsi keriangan hari raya dengan masyarakat. Acara ini dapat memupuk hubungan yang lebih erat antara keluarga dan rakan-rakan. 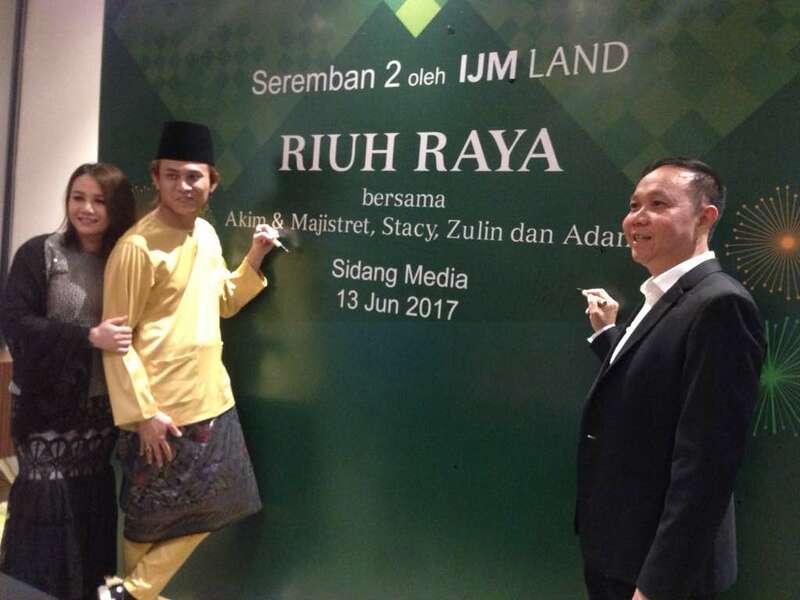 Pada hari tersebut, IJM Land juga akan memberikan rebat istimewa sehingga RM10,000 kepada mereka yang membeli rumah idaman sepanjang musim perayaan. 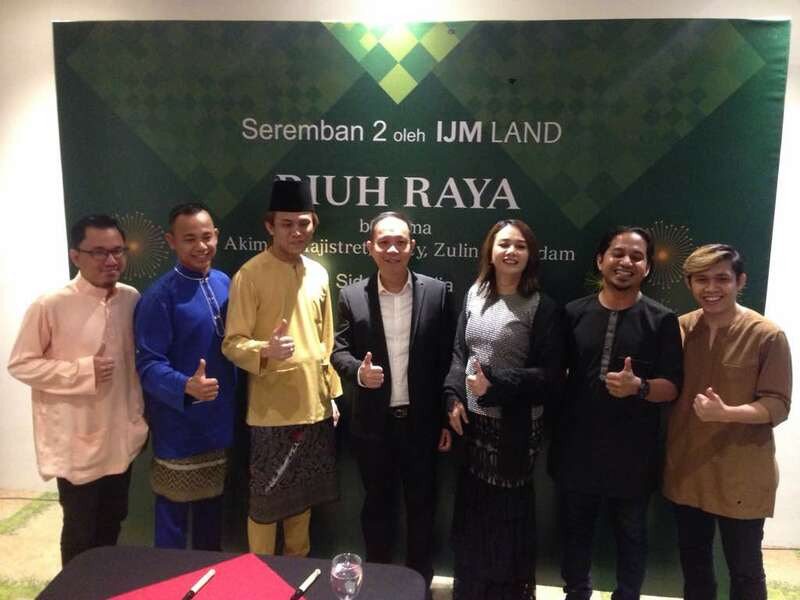 Jangan lupa tau korang nanti datang ke IJM Land Seremban 2. Kalau sebut bab langsing siapa yang taknak kan? Selain tubuh badan yang sihat, bentuk badan yang langsing mesti menjadi idaman setiap wanita. 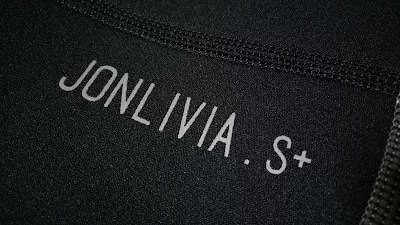 Kat sini AJ nak share dengan korang produk Jonlivia. Kalau nak tau rahsia AJ kekal langsing, Jonlivia la jawapannya! Jonlivia merupakan 1 jenama yang mengeluarkan pakaian sukan. Tapi yang specialnya ianya merupakan pakaian yang stylish. Korang tak perlu bersusah payah nak bersukan sebab ianya bersifat thermal. Pakai sekejap pun dah panas. Masa Ramadhan ni, AJ memang takde masa sangat nak bersukan, jadinya AJ pakai Jonlivia S+ Hotpants je. Seluar ni sangat selesa, korang bukan sahaja boleh pakai semasa bersukan, tapi boleh juga dibawa berjalan-jalan. Jangan tak tau, AJ pakai seluar Jonlivia ni bawak pegi mall. Hehehehehehehe. Memang selesa habis! Jonlivia hotpants dibuat di Taiwan. Materialnya pula 85% neoprene dan 15% nylon. Lepas tu dia ade compartment kecil untuk menyimpan hp ataupun duit. Tengah bersenam mana ade nak bawak barang kan? Ada yang kata bila pakai hotpants ni kulit akan jadi rashes, yelah sebab berpeluh kan, tapi sepanjang AJ pakai Jonlivia, kulit AJ tak rengsa pun. AJ ni ada masalah kulit sensitif jugak, kalau dah berpeluh mesti gatal-gatal kulit. Dengan Jonlivia hotpants, AJ rase kulit bernafas je di dalam tu. 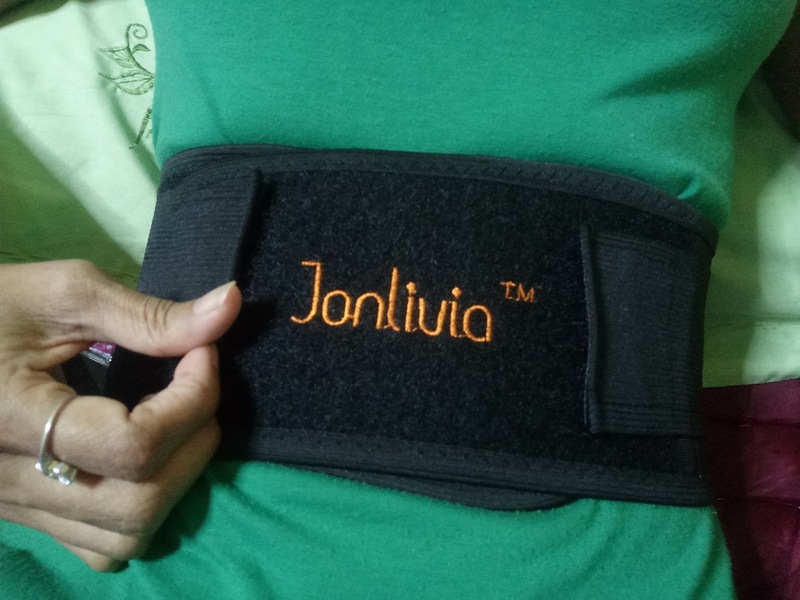 Lagi 1 produk Jonlivia yang AJ gunakan ialah Jonlivia Hotbelt. 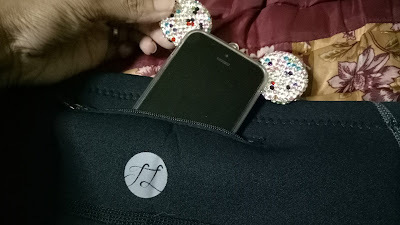 AJ amalkan pengunaan hotbelt ini setiap malam semasa tidur. Memang best, bila bangun pagi rasa perut maintain kempis. Ianya berfungsi dalam pembakaran lemak, boleh melegakan perut berangin. Lagi 1 kalau korang tengah mengalami masalah senggugut, Jonlivia Hotbelt ini sangat bagus untuk korang. Nak tau kenapa? Bila tengah sakit perut tu, terus je pakai hotbelt ni. Perut rasa macam dituam dan selesa sangat. Korang boleh buat pembelian secara online. Mudah dan pantas. 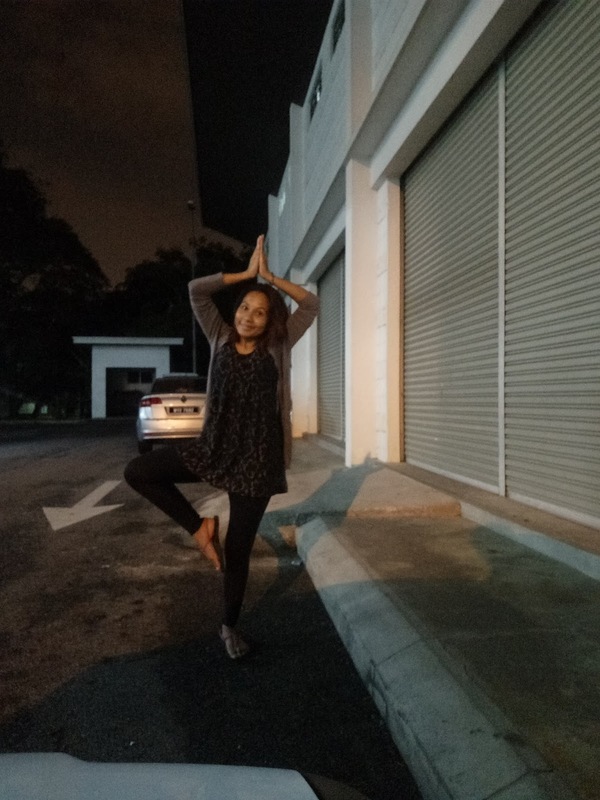 P/s : Tak susah pun nak maintain kurus. 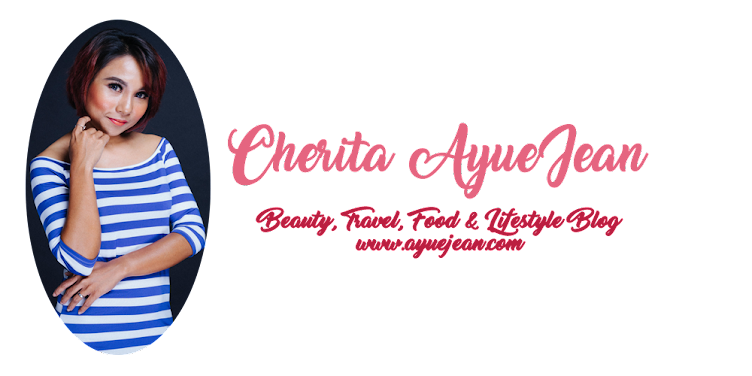 Wahai kaki mekap sekalian, AJ nak share berita baik yang mesti akan buat korang punya adrenalin mengalir pantas... Korang mesti dah biasa dengar pasal Althea Korea, website untuk K-Beauty lovers kan kan kan? Kat sini macam-macam produk khas diterbangkan dari Korea untuk korang semua... Tak payah susah-susah nak gi Korea beli mekap! Amacam? Cantik tak kotak dia? Rugi tau kalau korang tak shopping mekap raya dengan Althea Korea ni. Lepas tu AJ ade lagi satu berita happy nak share dengan korang jugak. 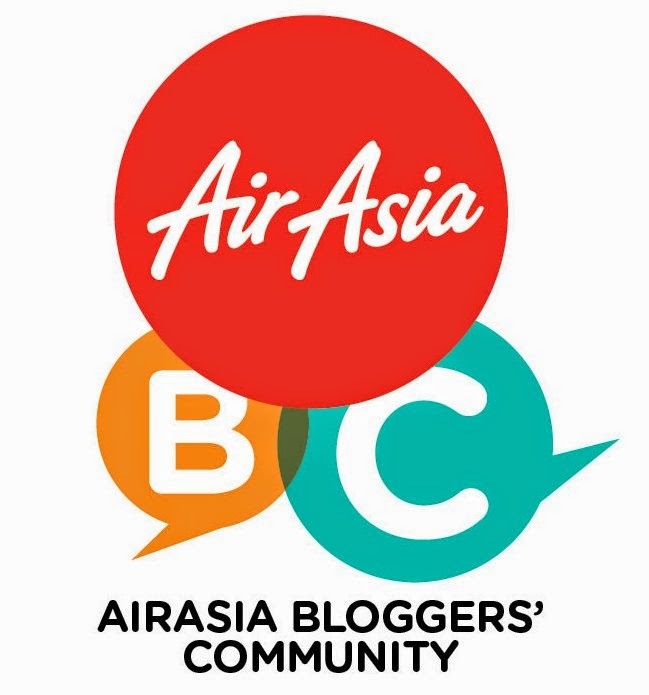 Althea ada buat giveaway untuk semua orang! 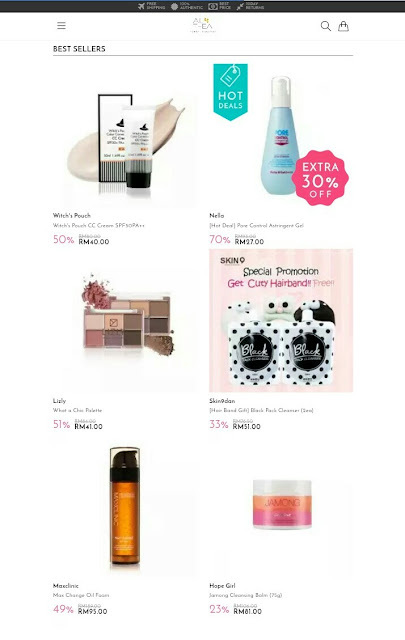 Dengan setiap pembelian, korang berpeluang mendapatkan 1 hadiah percuma daripada 9 produk terpilih daripada festival collection untuk Makeup Raya Look korang nanti... Gila taknak hadiah percuma? Dahlah dapat kotak cantik limited edition, dapat lagi 1 produk secara percuma... Memang Althea Korea nak bagi korang raya sakan ni! Apa tunggu lagi? Nak berseri masa raya nanti, inilah masanya.. Jom shopping mekap raya dengan Althea Korea sekarang! AJ pun nak sambung pilih produk-produk mekap yang AJ suka ni, korang pun pilih jugak tau. 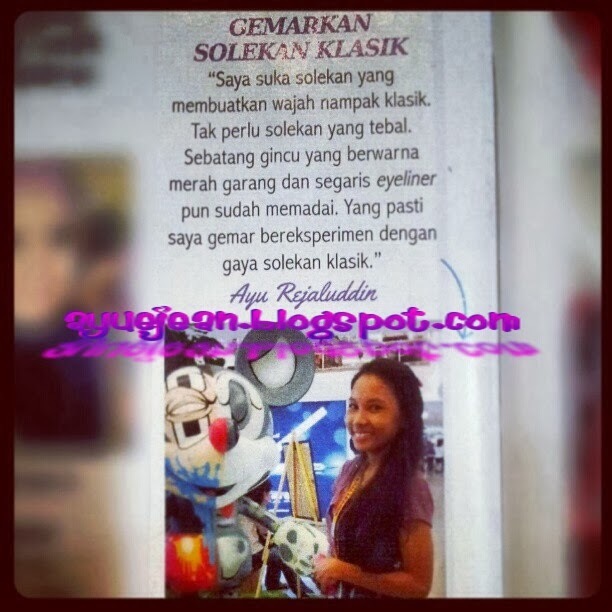 Nanti jangan lupa share Raya Makeup Look korang tau. Rambang mata weh! Dahlah Althea Korea memang tawarkan harga yang murah dan berpatutan, paling penting original... Terasa macam nak memborong semua pulak! 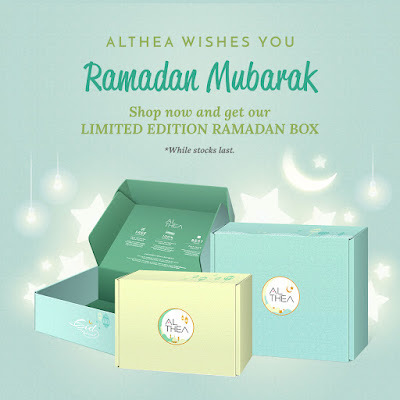 Untung-untung dapat 2-3 Althea's Limited Edition Raya Box tu nanti... Hihihihihih... Tunggu apa lagi??? SERANNNNNNGGGGGGGGG!!!!!!!! Cuka epal yang diperbuat daripada buah epal segar mengandungi vitamin, pectin, pottassium, sodium, magnesium, kalsium, fosforus dan zat besi ini sememangnya terkenal dari zaman tok nenek kita kerana khasiatnya. Mempunyai sumber anti-oksida seperti carotenoids dan beta carotene yang berupaya untuk meneutralkan radikal bebas berbahaya yang boleh melemahkan sistem imun. Kalau siapa yang ade sistem imun yang lemah kan, AJ sarankan korang amalkan pengambilan cuka epal dalam kehidupan seharian. Bagus tau! Selain tu, ianya boleh membantu merendahkan paras glukosa darah, melambatkan pengosongan gastrik dan membantu merendahkan glukosa darah dan tahap insulin. Bagi mereka yang mengalami masalah kencing manis, produk Surya ACV memang disarankan tau. Bahan utamanya, asid asetik boleh membantu membunuh bakteria dan boleh digunakan sebagai bahan pengawet semulajadi. Terasa lebih segar dan bertenaga je sepanjang hari walaupun aktiviti sepanjang puasa ni agakpadat adakalanya. Lagi satu kan AJ ni memang selalu kurang tidur, bila bangun je rase badan ni lemau semacam. Tapi sejak AJ amalkan Surya ACV, Alhamdulillah, badan tak letih macam selalu. Lepas tu balik keje pun tak terasa penat sangat. Kalau tak balik keje je mesti flat! Selain boleh diminum, korang boleh gunakan cuka epal ni dalam masakan.. Chef Wan sendiri pun gunakan cuka epal ni menggantikan asam jawa dan gula bila masak ayam masak merah ataupun acar. Kalau chef pun tak meragui cuka epal ni mestilah sedap kan bila dicampur dengan masakan. 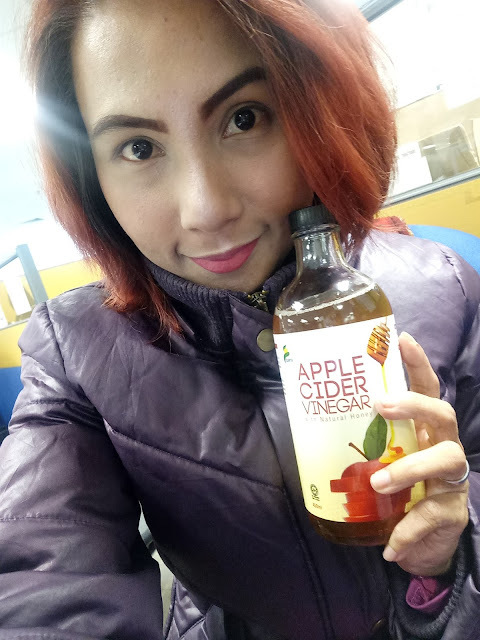 Selain tu, Surya Apple Cider Vinegar (ACV) memang bagus untuk kesihatan. AJ tak nafikan AJ ni jenis jarang membuang air. 2-3 hari sekali je AJ membuang. Sistem pencernaan tak berapa efektif gitu. Tapi sekarang ni, senang je nak membuang. 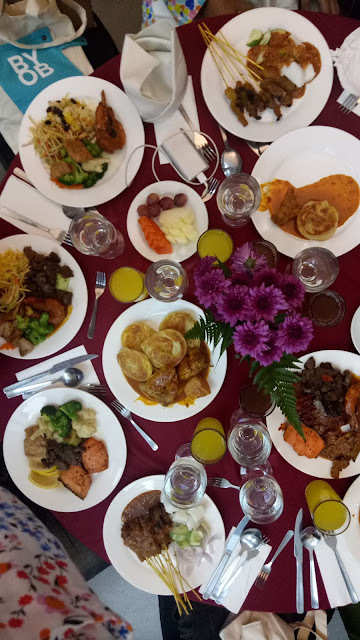 Korang pun tau kan, dalam menu detox sendiri pun memang selalu guna cuka epal, sebab ianya membantu sistem pencernaan. Bila sistem pencernaan baik, toksin pun tak terkumpul dalam tubuh badan, jadi senanglah nak maintain kurus..Haaaaa.. Suka tak bila dengar pasal kurus? Hhihihihihi... Disebabkan ianya mengandungi madu asli, kalau korang ada batuk-batuk ataupun sakit tekak kan, Insyaallah bila amalkan pengambilan Surya Apple Cider Vinegar (ACV), masalah korang akan berkurangan dan sekejap je boleh baik. Paling best ACV dari Surya Malaysia tiada bahan pengawet dan gula tambahan. Ianya juga disahkan HALAL. 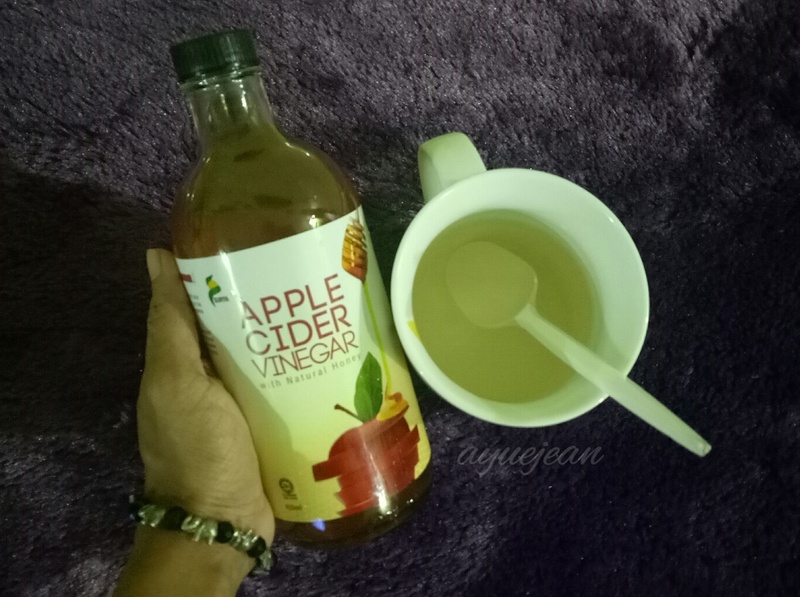 Campurkan 30ml ACV dengan 180ml air (2 sudu) dan minum selepas makan. Okay kalau untuk haiwan peliharaan pun boleh guna jugak. AJ selalu campurkan 1 atau 2 sudu cuka epal kedalam minuman kucing AJ. Fungsinya sama jugak macam kita, untuk meningkatkan sistem imun. Alhamdulillah, kucing AJ pun suka sangat bila minum air yang dicampur cuka epal. Berebut-rebut nak minum. 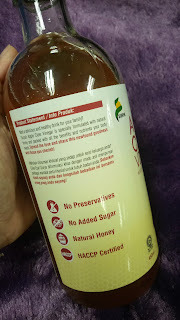 Sebab ada madu asli tu la tu. Kalau korang berminat nak dapatkan Surya Apple Cider Vinegar (ACV) with Natural Honey dari Surya Malaysia, boleh pegi ke outlet Watsons yang berhampiran ataupun farmasi yang terpilih di seluruh Malaysia. Harganya juga berpatutan dan mampu milik, hanya RM 21 sebotol. Mulai sekarang korang dah kene simpan 1 kat rumah. Banyak kebaikannya tau. Oh ya, korang juga boleh beli secara online jugak di Lazada dan Shopee. 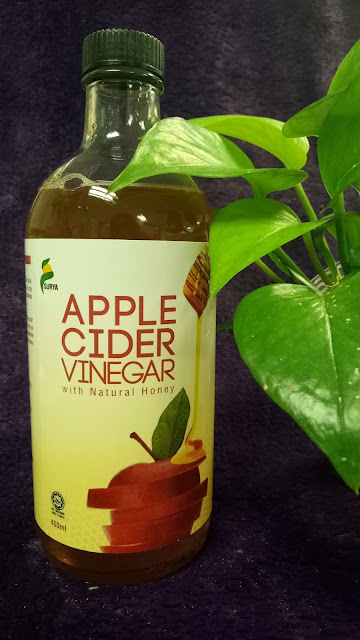 Raya nanti bolehlah jadikan Surya Apple Cider Vinegar (ACV) with Natural Honey sebagai kordial untuk dihidangkan untuk para tetamu. 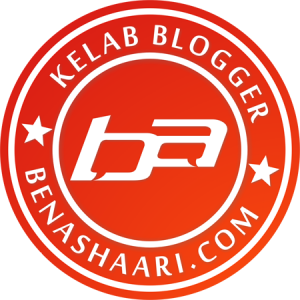 Benda yang baik haruslah dikongsi bersama kan. AJ sihat, keluarga sihat, kawan-kawan pun sihat barulah bersemangat dan lebih bertenaga nak menziarah dari 1 rumah ke 1 rumah! Ada yang baik, ada yang kurang baik.. Tu semua lumrah kehidupan kan..
P/s : Rase sebak pulak taip entri ni... Eh! Dah 10 hari dah kite berpuasa, kejap je masa berlalu... Ada ke yang dah buntu nak berbuka puasa kat mana selain daripada di rumah? Macam AJ sendiri, kalau nak berbuka mesti pilih lauk kampung tau... Dia punya selera lain macam! Perghhhh! Terliur dibuatnya.... Tak lupa jugak sambal yang ringkas tapi pedasnya menambat rasa... Pedas tapi nak lagi gitu! Juga 15 jenis sambal antaranya dabu-dabu manado, sambal ijo, berembang asam, udang geragau garing dan pedas, udang kering nyonya, lonteh, sambal hitam Pahang, cencaluk, tempoyak, budu dan belacan yang dihidangkan berbeza setiap hari ditambah pula dengan pelbagai jenis ulam-ulaman segar.. Confirm dah tak pandang lauk lain tau! Pendek kata macam-macam hidangan masakan kampung sejati ada kat KLIH ni..
Bila adanya pelbagai masakan kampung sejati, mesti ada orang yang bertanggungjawab dalam penyediaan menu-menu ni kan? Sepanjang Ramadhan, pihak hotel menyediakan acara moreh secara percuma setiap hari untuk para jemaah yang menunaikan solat terawih di surau KLIH, tazkirah sebelum waktu berbuka puasa dan pengedaran surah Yassin. 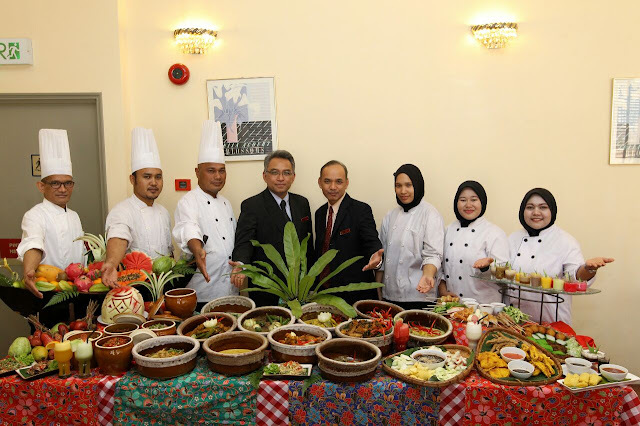 Kaunter zakat fitrah yang dikendalikan oleh pegawai Pusat Pungutan Zakat juga disediakan beroperasi bermula pada 20-27 Ramadhan di lobi hotel. Sebagai tanda penghargaan, pihak hotel menyediakan pelbagai insentif dan promosi bagi memeriahkan promosi pada tahun ni.. Nikmati promosi Diskaun Kad Kredit, pakej Bilik Mesyuarat Percuma, pakej berkumpulan, pakej Ahli Facebook, pakej penajaan, baucer pra-bayar dan set pakej katering "Take-Away"
P/s : Terliur tengok gambar juadah!